One of the highest and most modern ski resorts in Argentina lies a few kilometers away from the City of Mendoza. Its name is Las Leñas. Featuring a 1,200-meter vertical slope from the base at 2,240 meters of height and its summit at 3,430 meters, this center gives origin to a true paradise for extreme ski and heli-ski. 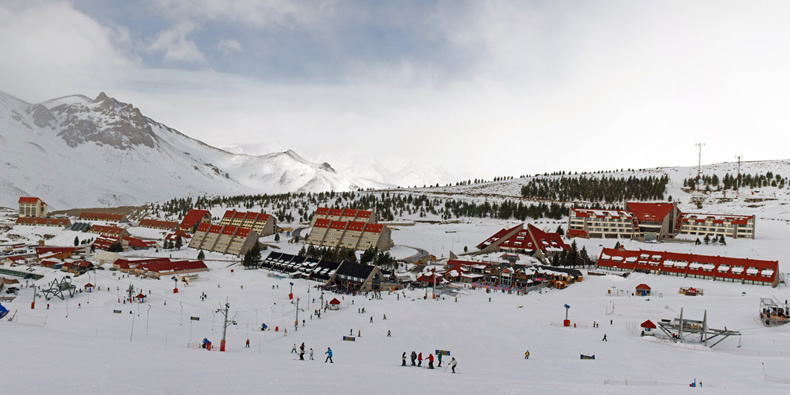 Ideal for beginners and intermediate skiers, Las Leñas offers 17,500 hectares distributed into 29 trails accessed through 14 lifts (including a ski carpet for beginners). 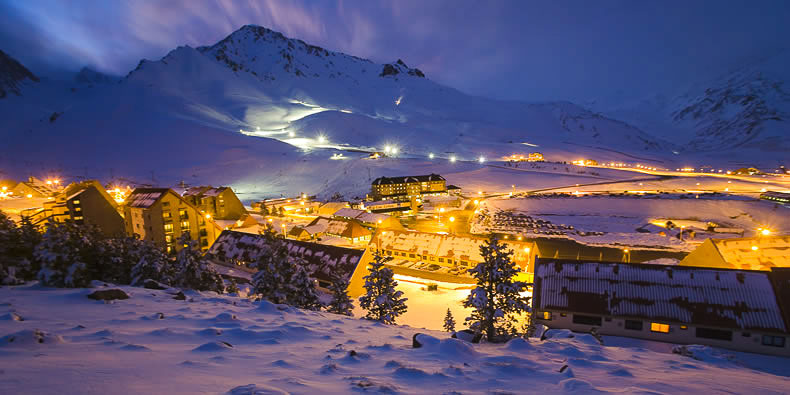 Apart from an ever renovated slalom stadium, Las Leñas boasts one of the longest ski trails in South America. This 7,050-meter-long trail is perfect for intermediate skiers and combines the already famous Apolo, Neptuno and Venus. Local skiers take pride on this feature. Beginners will enjoy an uninterrupted 1,000-meter descent along a mild slope. The most experienced skiers will have the chance to ski at night, along 2,000 meters of illuminated trails. When the weather conditions do not provide the necessary amount of snow, Las Leñas uses its modern snowmaking system (30 snow machines scattered all around the venue) so as to make sure everyone finds what they came in search of. Featuring a commercial center and an institutional museum that unveils the history of the valley, Las Leñas also provides a wide array of services year round. First-class accommodation and gastronomy, both on the mountain and the base, ski and snowboarding schools have turned Las Leñas into a winter classic in Argentina. A memorable destination that is reaffirmed year after year. How to Get There: 450 kilometers away from the City of Mendoza and 1,200 km from Buenos Aires City, it may be reached by plane, car or bus. Flights join the Argentinian capital and the airport of Malargüe, where visitors must take a shuttle to Las Leñas. In the high season, there are non-stop flights from São Paolo (Brazil) to Malargüe. Leaving Buenos Aires by car, visitors must travel along National Routes 7, 188, 143, 144, 40 and Provincial 222 up to Las Leñas, 20 km after the District of Los Molles (see our Argentinian Route Finder to find the routes for other locations). Season: From mid June to late September, divided into high, intermediate, low and special. Climate: Moderate during the day and very cold at night. Temperatures range between -2° and 11° C.
Services: Accommodation, gastronomy, daycare, medical clinic, institutional museum.